Aerobatic flight is the art and science of maneuvering an aircraft completely around three axes. All the manouvers can be devided into lines, rolls, loops and stalls. Most aerobatic maneuvers involve rotation of the aircraft about its longitudinal axis or lateral axis. Other maneuvers, such as a spin, displace the aircraft about its vertical axis. From the pilots point of view aerobatic flight can be thought of as ground reference manouvering. All aerobatic maneuvers are always performed with reference to ground and horizon reference points chosen in advance by the pilot. Aerobatic flying requires a broader set of piloting skills and exposes the aircraft to greater structural stress than for normal flight. 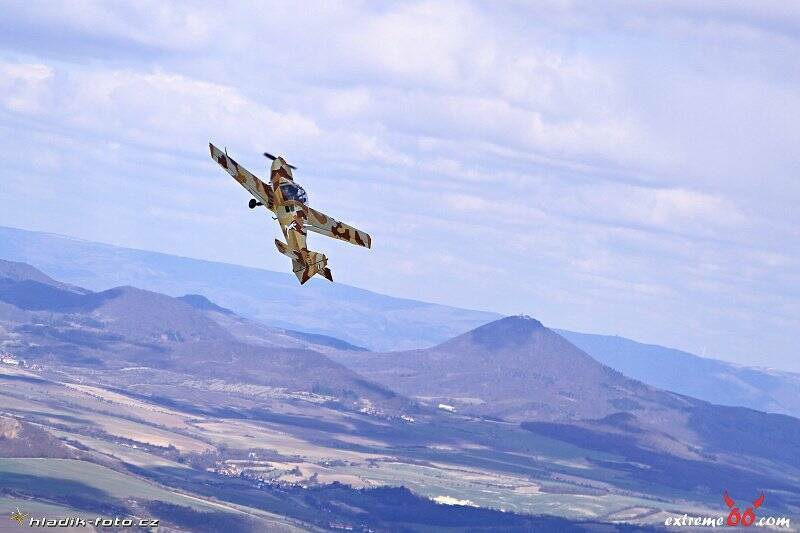 Aerobatics is an unforgettable experience even for a skilled pilot. There is no way you can imagine how it feels without trying! Do you feel like aerobatic experience may be little bit too much for you? Than better try a standard SIGHTSEEING FLIGHT or NIGHT FLIGHT first and decide if you want to try it upside down thereafter.